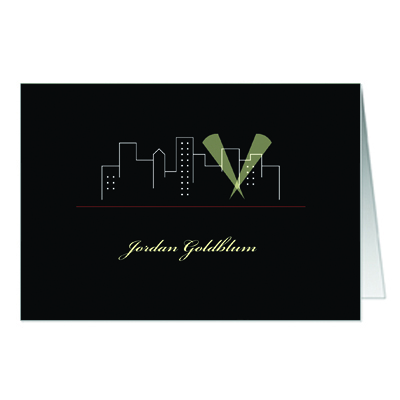 This folded thank you card completes our set of Hollywood Spotlight products. A great way to thank guests and stick with your movie star themed Bar Mitzvah! Card is folded and measures 3.5x5, it also comes with white envelopes.